On Monday night the national championship game featured the No. 1 seed Virginia Cavaliers and the No. 3 Texas Tech Red Raiders. It was the first time in school history that Tech and Virginia competed for a national championship. This was Tech’s first time in the Final Four and Virginia’s third. The Virginia Cavaliers would go on to defeat the Texas Tech Raiders 85-77 in overtime, bringing the Cavaliers their first championship in program history. Texas Western, now known as UTEP, is the first and only team to win a championship in the state of Texas and that statement will remain intact for another year. UTEP have held this distinct streak for 53 years now which is an impressive feat considering the teams that have come close to ending the streak. The 1983 University Of Houston team featuring Hall of Famers Clyde Drexler and Hakeem Olajuwon were one basket short of ending the streak in 1983 and in 1984 fell to the Patrick Ewing led Georgetown Hoyas. 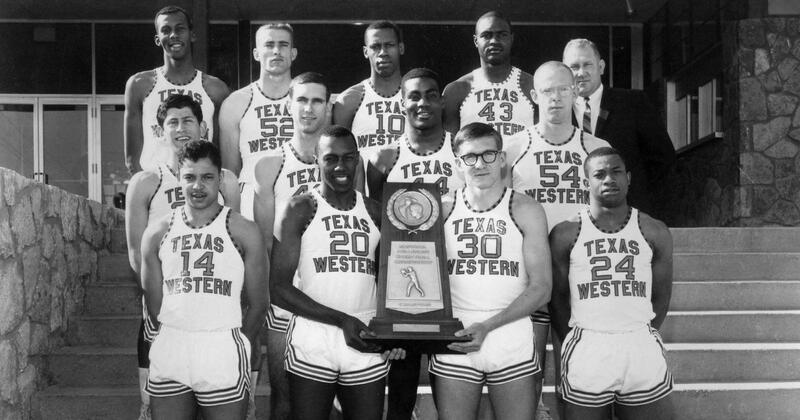 Coach Don Haskins and his 1966 Texas Western squad brought the title to El Paso after defeating Kentucky and starting five black players. That game has a legacy of its own. Since then, at the start of every home UTEP game, the PA announcer states that UTEP is the “only team in Texas to win an NCAA title,” to the crowd. The Texas Tech Red Raiders were one game shy of altering that game staple. Associated Press Coach of the Year Chris Beard had a defensive minded team that provided opposing offenses fits night after night. Legendary coach Haskins, aka “The Bear,” built his legacy on defense. There’s a reason why the Haskins Center has the tradition of standing for defense at the start of every home game and at the start of halftime. According to Ken Pomeroy, a well-known sportswriter, the Red Raiders had the highest defensive efficiency rating throughout the 2018-2019 season allowing 83 points per 100 possessions. When they faced Gonzaga in the Elite Eight, they faced the team with the best offensive efficiency with 124.5. They held the Bulldogs to 69 points. The third lowest scoring performance they had all season. The Raiders seemed poised to halt Virginia’s momentum and bring the hardware to Lubbock, Texas. It seemed fitting that the second team in Texas to possibly win the NCAA title would be built around its defense. And not a team that’s an offensive powerhouse. This team would have made The Bear proud. Now we will have to wait another season to see if the streak and if another team can bring a men’s Division I national championship to the state of Texas.